The Institution of Occupational Safety and Health [ IOSH ] was founded in 1945. It is the major professional body representing individual safety and health practitioners in the UK. The fundamental purpose of the Institution is to promote the safety, health and well-being of people at work, and people affected by work activities. A range of courses delivered by Woodward from The Institution of Occupational Safety and Health. IOSH Fire Safety Awareness [1/2 day] – Fire Safety Awareness is for people at any level, in any sector worldwide, who need a grounding in the essentials of fire safety. IOSH Fire Safety For Managers [1 day] – Fire Safety for Managers is designed to get managers and supervisors in any sector up-to-speed on the practical actions they need to take, and gain the knowledge and tools to tackle the relevant fire safety issues they’re responsible for. IOSH Managing Occupational Health and Wellbeing [1 day] – Managing Occupational Health and Wellbeing is for managers and supervisors working in any sector, and for any organisation. It’s designed to provide them with the tools and techniques to improve health and wellbeing across their organisation. IOSH Working Safely [1 day] – Working safely is a one-day course for people at any level, in any sector, that need a grounding in health and safety. It is ideal for introducing staff to why health and safety is important, and shows how everyone can make a difference to their own wellbeing and that of others through everyday behaviours. 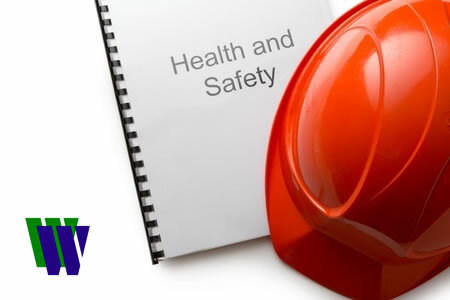 IOSH Health and Safety for Supervisors [2 day] – The IOSH Health and Safety for Supervisors Course is a two day course designed for people in supervisory roles, team leaders, charge hands, leading hands, etc. positions in all types of organisations, who need an understanding of health and safety at work. IOSH Managing Safely [3 or 4 days] – The IOSH Managing Safely Course is designed for people in supervisory or management positions in all types of organisations, who need a broad understanding of health and safety at work. The aim is to give these managers the knowledge to help implement good practice for health and safety in the workplace. IOSH Managing Safely Refresher [1 day] – On this course delegates get to refresh their knowledge on the key parts of the full Managing Safely course, there’s also a much greater emphasis on monitoring, auditing and reviewing, which is learned through two practical case studies. IOSH Leading Safely [1 day] – As a senior executive, your time is precious. That’s why IOSH designed the Leading Safely course in conjunction with business leaders to cover only what you need, in as short a time as possible. Whatever the size of your organisation, the course will show you how investing in safety and health can reap valuable business benefits, including better productivity, increased profits, an enhanced reputation and a stronger brand. IOSH Environment for Business [1 day] – In one day, managers will learn how business can engage with and effectively manage the environmental aspects of their activities. IOSH Safety Health and Environment for Construction Workers [1 day] – This course is for anyone who works on or around a construction site or has cause to visit the site in the course of their work. The course provides the core knowledge your workers need to stay safe and embeds the good understanding and techniques needed to keep others safe too. IOSH Safety Health and Environment for Construction Site Managers [4 or 5 days] – This course is for anyone who oversees or manages safety, health and environmental risks associated with construction activities. The course provides a step-by-step guide to understanding and managing the risks. We have significant experience in developing bespoke IOSH approved courses for specific clients. If this may be of interest to you please contact us to discuss your requirements on info@woodwardgroup.co.uk .